Specially formulated, enzyme based ProVetLogic Kennel & Turf Care will penetrate the turf and deep into the substrate to effectively degrade and remove disease and odor causing organic matter. Why is ProVet Logic STI’s Choice of Cleaner and Deodorizer? Imbedded organic matter (THE HOST) creates the perfect environment for a wide range of pathogens to thrive and continue to re-infect animals and produce noxious odors. Traditional cleaning solutions such as bleach, chlorinated cleaners, disinfectants and remove imbedded organic matter (THE HOST) from porous substrates, so their effectiveness is limited to top surface treatment. Specially formulated ProVet Logic Kennel & Turf Care will penetrate the turf deep into the substrate to effectively degrade and remove disease and odor causing organic matter. Why Don’t Disinfectants Work on Turf Surfaces? Disinfectants do not have the inherent chemical ability to breakdown and degrade odor and disease causing organic matter. Disinfectants need to bond to a hard, nonporous surface to be fully effective. Applying disinfectants outside can be hazardous to the environment. A kennel, dog run or play area synthetic surface can be made up of a variety of complex textures, cracks and crevices, becoming a magnet for soils. This is a perfect environment for the “HOST”, or odor and disease causing microorganisms to migrate and multiply. Soiled turf, concrete and other porous surfaces invite a multitude of negative impressions related to cleanliness, hygiene, and safety. Remove all animals, toys, feeding and water dishes from the immediate area. Remove and discard all heavy soil, including animal feces. Remove sprayer cap and fill reservoir tank with full-strength Kennel Care. Insert desired dilution tip (refer to foam gun instructions) and reapply sprayer cap. Attach sprayer to water source and turn on water. Starting from the farthest area away from the entrance and walking backwards, apply the foam in a side-to-side motion. Apply the foam solution at least 12” up vertical surfaces including wood fences, exercise platforms, furniture, etc. Agitate stained areas using a synthetic bristle deck brush. Allow the solution to stand for 3 to 5 minutes. Remove sprayer from foam gun tank and thoroughly rinse the surface into the direction of drain. Remove all standing puddles before reintroducing animals to the area. It is safe to place animals on damp turf. 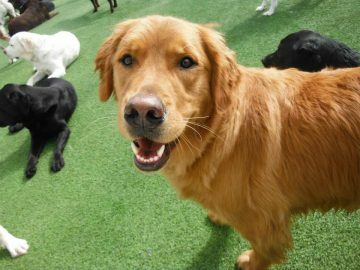 Although Kennel Care is nontoxic, rinse all toys, feeding and water dishes that may have come in contact with the solution. For more information please contact your STI Account Manager.